made in St. Petersburg between 1899 and 1904. 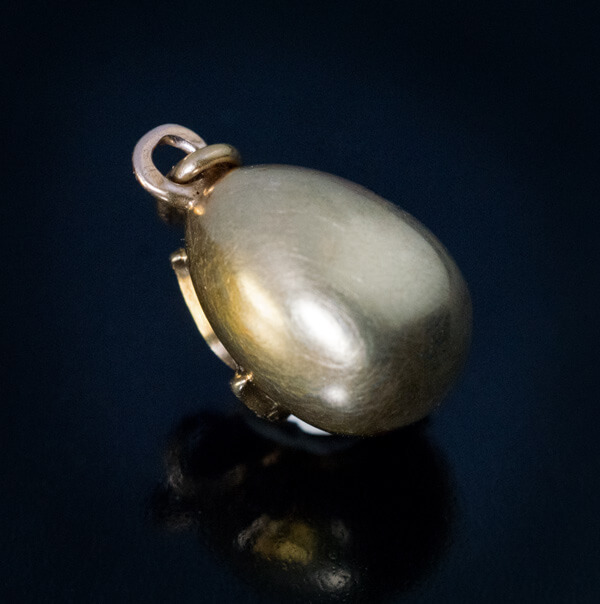 A plain 14K matte gold egg pendant is applied on one side with a gold flower designed in the Art Nouveau style of the period. The flower is set with a sparkling 0.51 ct color-change Russian alexandrite accented by two rose cut diamonds. Russian alexandrite jewelry is very rare. 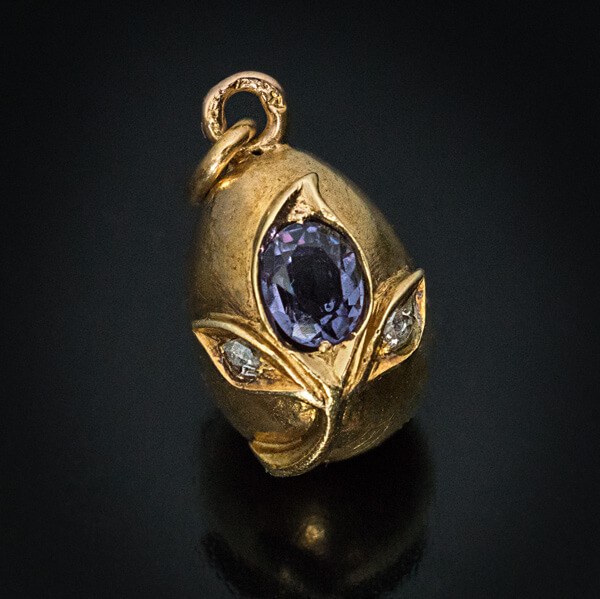 This is the only egg pendant with alexandrite we have ever seen. 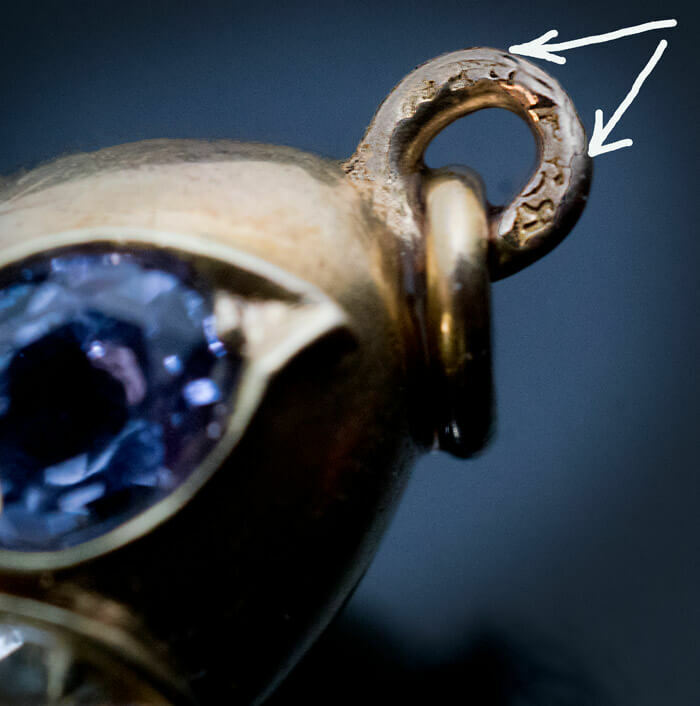 The egg is marked with 56 zolotnik Imperial gold standard, initial ‘Я’ for St. Petersburg assay master Yakov Liapunov (1899-1904), and partially legible maker’s initials ‘AT’, likely for Faberge’s workmaster Alfred Thielemann. Please note that this egg is not sold as a Faberge piece since the workmaster’s initials are not fully legible. Although, it is very likely that the egg is by Faberge. 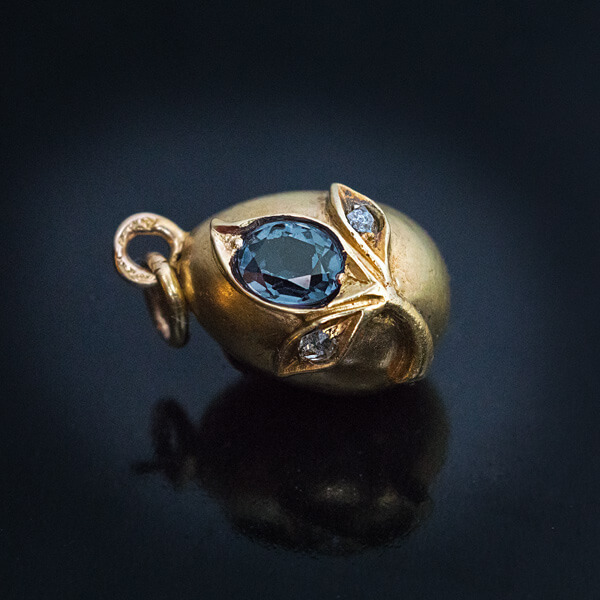 The price of the egg is solely based on the rarity of its alexandrite and no premium has been added for the maker. Length of the alexandrite is 4.5 mm.